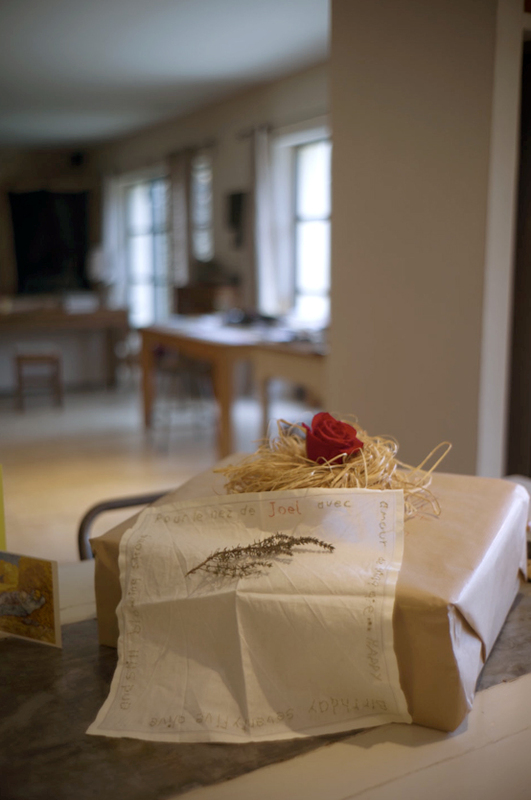 Sitting on the breakfast table was this box, and a rose in a nest, a sprig of thyme, and an embroidered love note from Maggie. A lovely way to start my birth day. Although many other notes were struck during the day, and they were fun filled, friend filled, and intimate, I remembered this one for its simplicity, honesty, humility and love. This entry was posted in Gratitude and tagged Birthday present, Bonnieux, France, Interior, Provence, Rose, Still Life on March 6, 2015 by joelmeyerowitz2014. Happy birthday ! WIsh you all the best.